Unlike common industrial parks where factories are selected simply on the basis of their willingness to share the real estate, environmentally balanced industrial complexes (EBIC) are a selective collection of compatible industrial plants located together in a complex so as to minimize environmental impacts and industrial production costs [24,33]. These objectives are accomplished by utilizing the waste materials of one plant as the raw materials for another with a minimum of transportation, storage, and raw materials preparation costs. 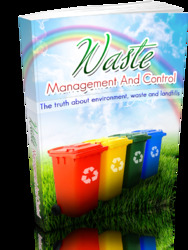 It is obvious that when an industry neither needs to treat its wastes, nor is required to import, store, and pretreat its raw materials, its overall production costs must be reduced significantly. Additionally, any material reuse costs in an EBIC will be difficult to identify and more easily absorbed into reasonable production costs. 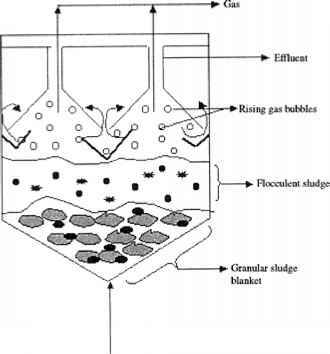 Figure 13 Phosphoric acid and N-P-K fertilizer production waste treatment (from Ref. 17). producing raw materials for others within the complex. Examples of such major industries that can serve as the focus industry of an EBIC are fertilizer plants, steel mills, pulp and paper mills, and tanneries. Nemerow and Dasgupta  presented the example of a steel mill complex with a phosphate fertilizer and a building materials plant as the likely candidates for auxiliary or satellite industries (Fig. 14). A second example presented was an EBIC centered phosphate fertilizer plant, with a cement production plant, a sulfiiric acid plant, and a municipal solid wastes composting plant (its product to be mixed with phosphate fertilizer and sold as a combined product to the agricultural industry) as the satellite industries (Fig. 15). As previously mentioned, in the usual starting process of producing phosphoric acid and ammonium phosphate fertilizer by dissolving the phosphate rocks with sulfuric acid, a gypsumlike sludge is generated as a byproduct and some sulfur dioxide and fluorine are in the waste gases emitted at the high reaction temperatures. The large, relatively impure, quantities of phosphogypsum (5 vol. to 1 P2O5 fertilizer produced) are difficult to treat, and the fluorine present in the gas as hydrofluoric acid (concentrations from 1-10%, which is very low for commercial use) requires further costly and extensive treatment. Using such a fertilizer production facility as the focus industry of an EBIC would be a feasible solution to the environmental problems if combined, for example, with such satellite industries as: (a) a sulfuric acid plant to feed its products to the phosphoric acid plant and to use some of the hot water effluent from the cement plant and the effluent from the SO2 scrubber of the phosphate fertilizer plant; (b) a municipal solid wastes composting plant utilizing hot water from the cement plant, serving as disposal facility for the garbage of a city, and producing composted organic solids to be used as fertilizer; (c) a cement and plasterboard production plant utilizing the phosphogypsum waste sludge in the manufacture of products for the construction industry, producing hot water effluent to be used as mentioned above, and waste dust collected by a dust filter and used as a filler for the soil fertilizer produced by mixing composted garbage and phosphate fertilizer. Development of an environmentally balanced industrial complex has been discussed extensively  by the United Nations Industrial Development Organization (UNIDO), Vienna, Austria.